The NPQ Newswire has written several times about the Native American-led protests against the route of the Dakota Access pipeline near the Standing Rock Sioux Reservation in North Dakota. Yesterday, President Obama said in an interview with NowThis, a social media news outlet, that the U.S. Army Corps of Engineers, which controls some of the land traversed by the pipeline and also administers the Missouri River for the federal government, may be exploring alternative routing of the pipeline. I think right now the Army Corps is examining whether there are ways to reroute this pipeline in a way. So we’re going to let it play out for several more weeks and determine whether or not this can be resolved in a way that I think is properly attentive to the traditions of the first Americans. While the pipeline itself does not cross Standing Rock Sioux Reservation land, some tribal members, environmentalists, and others believe that sections of the 1,172-mile pipeline represent a potential danger to the Missouri River (specifically, the 370,000 acre Lake Oahe reservoir) and adjoining land the tribe considers sacred. 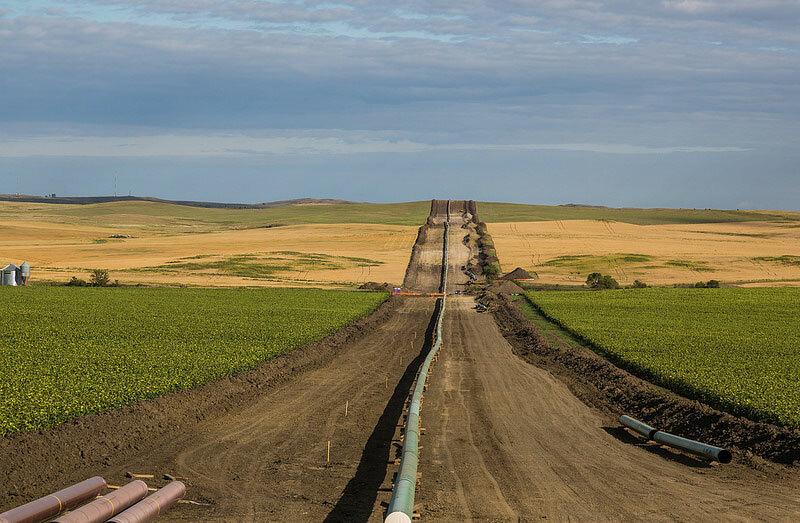 The pipeline is being built to transport oil from the Bakken fields in northwest North Dakota to an energy transport center in Illinois from where it will be sent to oil refineries in Texas and to the east coast. The oil pipeline route being protested runs parallel to an existing natural gas pipeline under the Missouri River/Lake Oahe. The mostly-built $3.7 billion pipeline will be difficult to reroute, according to Tyler Priest, a University of Iowa expert who was a member of the president’s National Commission studying the BP Deepwater Horizon oil spill. Acquiring new land, securing required permits, and winter construction are all obstacles that add time, expense, and logistical complexity to the project that was scheduled to be complete by the end of 2016. This assessment assumes the rerouting doesn’t spark more protests or court challenges by current or newly aggrieved parties. Cities and states pay billions in interest to fund capital projects. They also face other shortfalls in local finance, such as gaps in small business lending. A growing movement advocates that local governments imitate the state of North Dakota, which has run its own bank for 98 years, and take on more of a financing role themselves.